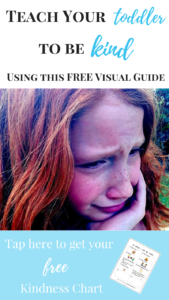 Inside: Check out this free visual guide for teaching toddlers to be kind. Adjusting to having a new sibling can be a tricky transition for a toddler. I have two little ones under two. For my 20-month-old, the adjustment to gaining a brother has been a little emotional. I have noticed her getting sad or frustrated easier than ever before. When this happens, she looks for an outlet to express these feelings. Sometimes, the sadness or frustration comes out in a tantrum. She seeks my attention with her negative behavior. This tactic is unusual for her, so I quickly realized she was looking for a way to release her new emotions. That is why I created a free visual guide for teaching toddlers to be kind. If there is one thing I learned during my time as an educator, it is that focusing on positive behavior is far more effective, than only responding to negative behavior. In order to do this, I must be proactive, not reactive. Children want to be kind and in control of their feelings, they just need help sometimes to do so. 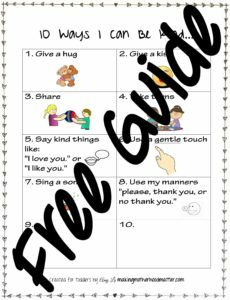 Click here for to sign up for your free copy of the Kindness Chart. 1. Review the chart with your child. To promote positive social behavior for toddlers, parents will want to review the behavior chart several times throughout the day until they are confident the child understands and can remember each item on the chart. Ideally, parents will keep this activity fun and lighthearted. 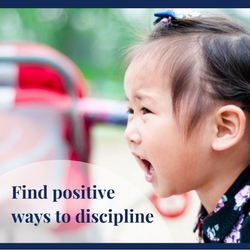 The overall goal is to have the toddler so focused on behaving in a positive manner, that he or she forgets about the bad behavior. Parents can tell their toddler that this paper is just for them. They can decorate it, put it in a special spot, do anything to it to make it personal. There are two open spots at the bottom of the chart. Those are there so that the chart can be individualized. I recommend picking two ideas that you know your toddler is good at doing. 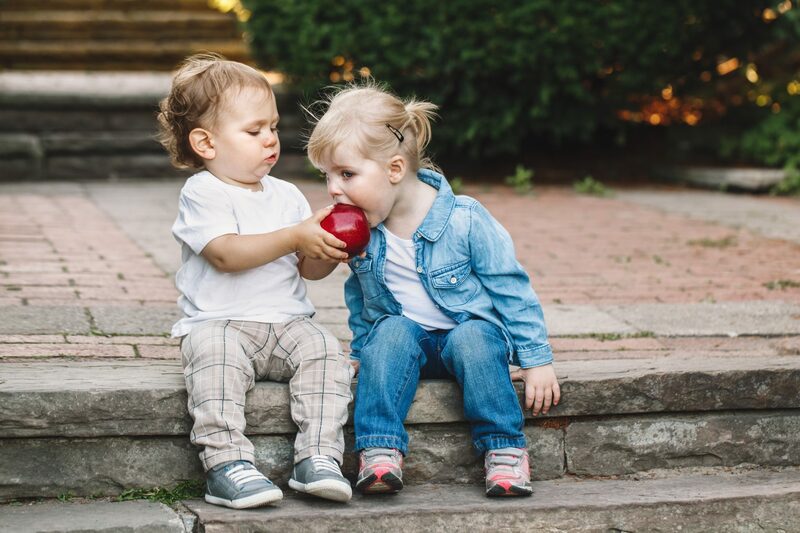 Then, as the parent reviews the concept of kindness more and more, the goal will be that eventually, the toddler will be able to pick ideas of his or her own to fill in those spots. I recommend placing the chart in a clear sheet protector, in a highly visible place within the house. Using a sheet protector will allow you to use a dry erase marker to write in different ideas on the chart. In order for this behavior strategy to be highly effective, you will want to place several copies around the house, for easy access. The ultimate goal of the kindness behavior chart is not to stop the negative feelings, but rather to redirect the negative behaviors to positive ones. After reviewing the chart over and over, the hope is when your toddler is tempted to act out with negative behavior, you can ask him or her if instead there is something he or she would like to do from the chart. P.S. If you enjoyed this, you may also like Empower Your Child With These 7 Simple Parenting Tips.